Lighting manufacturer Elinchrom has introduced a version of its high speed sync Skyport remote flash trigger and controller that is compatible with Sony cameras. The new Skyport Plus HS transmitter allows Sony camera users to synchronize their shutter with Elinchrom flash heads using speeds of up to 1/8000sec. 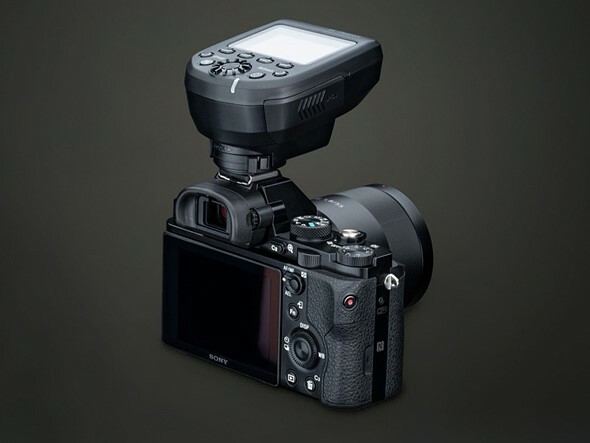 The system has been in use for some time for Canon and Nikon users, but now Elinchrom has added Sony to the list of camera brands with which the transmitter works. Elinchrom’s high speed sync system is called Hi-Sync and varies from hotshoe style flash units in the way it produces light for short shutter speeds. While HSS modes in speedlights tend to use pulsing flash that gradually covers the camera sensor as the shutter slit passes by, Hi-Sync just uses a relatively long-duration burst. The company has introduced a system it calls OverDrive Sync that allows the user to calibrate the timing of the burst to the opening and closing of the individual camera’s shutter to ensure the two events coincide. This ODS system also allows a certain degree of exposure manipulation as photographers can tailor their shutter to different segments of the flash output curve. The Skyport Plus HS 2.4GHz radio transmitter has a range of 200m/656ft when used without obstruction between the camera and the head, and 60m/196ft when used indoors. It system offers 20 channels for normal shooting and 20 more for high speed shooting, which can be arranged in 4 groups, and an AF illuminator to assist in low light conditions. The Elinchrom Skyport Plus HS costs $249.95 USD / €249 EUR / £199 GBP. For more information see the Elinchrom website. This provides unsurpassed levels of “two-way communication and control” for every light in your setup, right from your camera.